“Bailom will steer the company on a course to captivate Indian cruise passengers with an offering par excellence,” the company said. The Pacific Jewel entered service in 1990 as the Crown Princess after being built by Fincantieri. 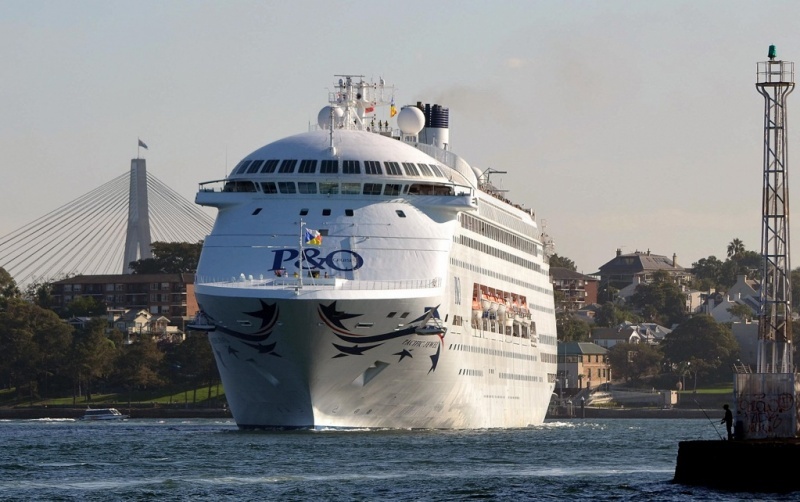 It also served as the A’Rosa Blu, AIDAblu and Ocean Village Two before moving to P&O Australia as the Pacific Jewel in 2009. It will wrap up its service career with P&O in March. “I’m thrilled to be a part of the Essel Group which has done pioneering work across sectors and consider it a great opportunity to be at the helm of India’s first cruise company. India has a 6,632 km long coastline along nine states and two union territories which presents the tremendous potential to promote and grow cruise tourism in India. We intend to take the cruise liner experience to a new level for people in India, and I look forward to unveiling our plans soon,” Bailom said. 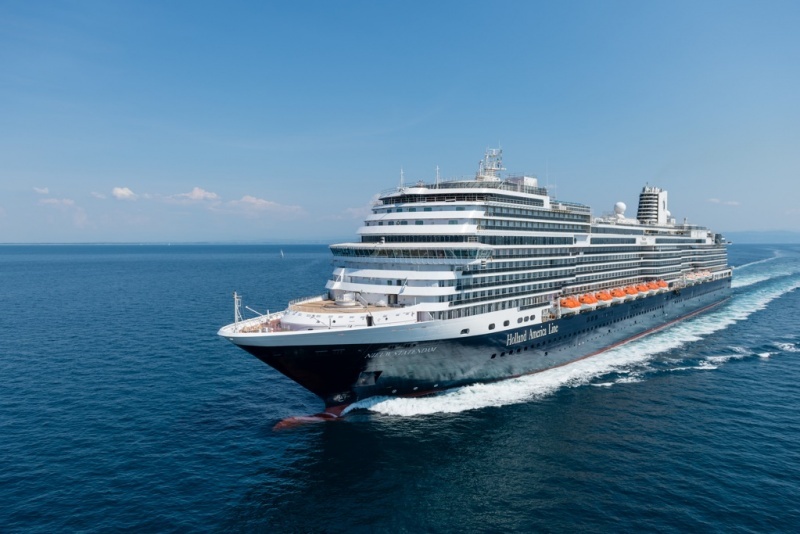 During the sea trials, Nieuw Statendam underwent a series of performance tests on the ship’s systems, machinery and engines. The shipyard’s team of nautical officers, naval architects and builders tested the ship’s manoeuvring characteristics and safety systems. The cruise industry might have tamed an air pollution problem only to create the potential for new contamination of the waters in which its vessels sail. With the growing use of exhaust gas cleaners, known informally as scrubbers, cruise lines have successfully cleansed the plumes from the stacks of their ships of harmful sulfur dioxide emissions. Since 2015, vessels sailing in North American waters within an internationally adopted Emission Control Area have had to cut sulfur emissions to 0.1%, removing 920,000 tons of sulfur and 90,000 tons of soot from the air each year. Using scrubbers has saved cruise lines tens of millions of dollars that they otherwise would have had to spend on low-sulfur fuel. But now questions are being raised about where all the pollution that’s being removed from cruise ship exhaust is ending up. In at least one case, officials in Ketchikan, Alaska, have sought to learn if the sulfur sludge ended up being piped overboard in their port. On July 27, port employees saw a discharge coming from the Star Princess, which was docked at one of the Ketchikan berths. Photos show darkened splotches in the water. One shows a patch of lumpy black material floating near a piling. Port authorities notified the ship of the discharges, and the scrubber system was turned off, according to a city memo. At a city commission meeting, residents complained about the pollution of the harbour. The city referred the photos and the information it had collected to the Alaska Department of Environmental Conservation (ADEC) and said the department would be investigating the incident. A program officer at the agency, which is in charge of monitoring cruise ship discharges statewide, said he couldn’t comment on any preliminary findings or potential investigations. The most crucial question is: What was in those discharges? Exhaust gas is “scrubbed” with water, either salt or fresh, which when sprayed through the rising exhaust, causes the sulfur to dissolve in the water. The scrubbing also removes particles such as soot, incompletely burned oil, traces of heavy metals and ash. It is permissible for ships to discharge wash water that contains sulfates, once the water has been treated for acidity, turbidity and other factors. But the sludge separated from the water cannot be discharged or incinerated at sea. It has to be kept onboard for land disposal in a port. It said that onboard monitoring systems confirmed that no waste water containing oil or other residue had been discharged. “Our experts believe what was viewed and photographed is most likely sea foam discoloured by natural microorganisms such as algae in the seawater, which is commonly experienced in northern climates in the summer season,” Princess said. The issue of what to do with scrubber residue, or sludge, is set to grow in importance as tighter restrictions on sulfur are set to kick in worldwide in 2020. The maximum sulfur content of marine fuel will be cut from 3.5% to 0.5%, setting the stage for thousands of ships to install scrubbers to save costs. This year in Alaska, 23 cruise ships are using scrubbers on 401 cruises, according to the ADEC. They produce a surprising amount of waste: An average seven-day cruise on a big ship can yield two to five tons of scrubber sludge, said Brian Salerno, senior vice president for maritime policy at CLIA. For now, at least, that weight has to be carried until the end of the cruise. “I’m not aware of any reception facilities in Alaska,” Salerno said. “They tend to be smaller ports, more remote ports. My understanding is [a ship’s crew] would retain the sludge onboard until they get to a larger port,” such as Vancouver, Seattle or Los Angeles, he said. Princess has been cited in the past for improper disposal of other kinds of waste. Last year, Princess paid a $40 million penalty and pleaded guilty to seven felony counts for illegally dumping oil-contaminated waste overboard, then falsifying official logs to conceal the discharges, according to the U.S. Department of Justice. Princess remains on probation for five years as part of its sentence. As for that incident, Princess senior executives blamed shipboard engineers who ran clean water through sensors meant to measure oily waste discharge levels at sea.